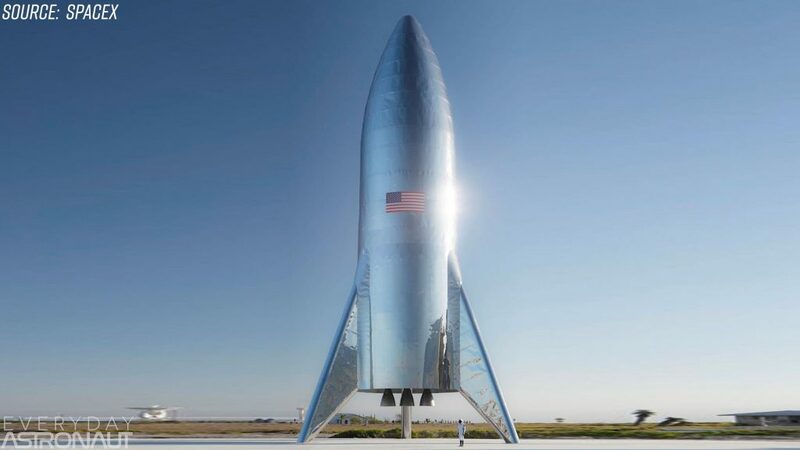 SpaceX’s upcoming rocket called Starship Super Heavy (formerly known as BFR), will no longer be made out of lightweight Carbon Composites, it’ll sweat a lot, and just MIGHT need a TON of WD-40. 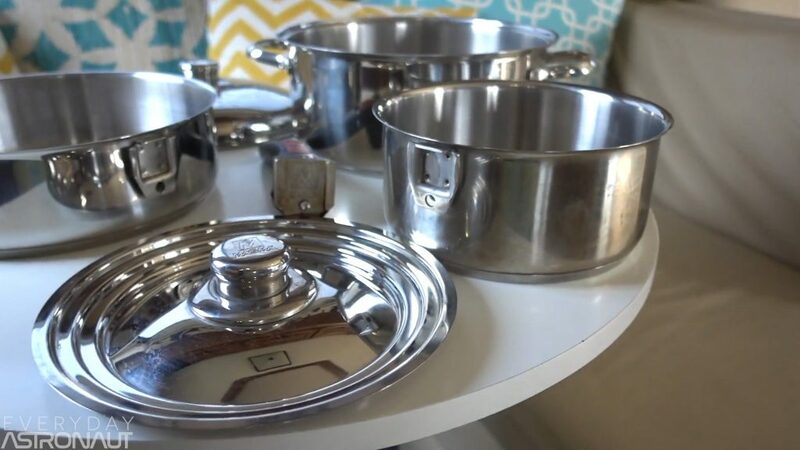 So we’ll take a look at all of Elon’s most recent claims about stainless steel actually being the best option and see if we come to the same conclusion. We’ll also take a look at some other rockets that are made of stainless steel and explain how SpaceX’s use of this material is a little different as they’ll be using new manufacturing techniques and doing things that have never been attempted before. I think most of us are getting really excited to see SpaceX’s newest rocket come to life. We’re already seeing their test hopper that will practice short little propulsive flights being built and then watch as the nose cone blows over in the wind… and we’ve already got a good handle on the actual dimensions of the vehicle as well. One little caveat before we get started, I’m not a physicist, I’m not a metallurgist, I’m not a chemist. This video took me a while longer to script and research because I had to try and grasp a lot of concepts that I’m very very unfamiliar with, talk to a lot of experts, and read way too many research papers. But after studying this stuff for sometime now, I have some really fun things to share. So let’s dive right in with why on Earth (or off Earth) is SpaceX switching to stainless steel… the same thing our pots and pans are made out of? The same heavy metal that coats high end appliances? That sounds much less 21st century and way more 1950’s retro future. Well there are four main reasons: Strength at cryogenic temperatures, its characteristics at high temperature, ease of development and price. Let’s start off with what seems to be the most controversial aspect, the weight. 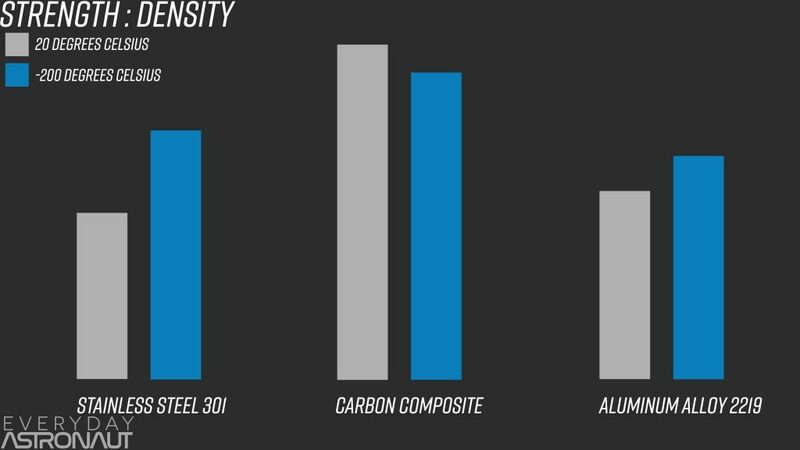 Yes, if you have say a cubic millimeter of carbon composite vs stainless steel, carbon composite is much lighter. But weight is only half the equation in a structural material. The other big key is strength. And again, on paper carbon composite seems to win out. Right up until you put those materials under extreme temperature environments. Don’t forget, a rocket experiences unbelievable differences in temperature. The super chilled liquid oxygen SpaceX puts inside these paper thin tanks is an unbelievably cold -207 degrees celcius and at the exact same time, the outside can reach temperatures several hundred degrees celsius on ascent, and we’re not even talking about the brutal reentry temperatures… more on that in a second. But it’s the cryogenic temperatures that’s really truly the key to stainless steel being advantageous. Most steels become brittle at cryogenic temperatures. Perhaps you’ve seen videos of someone taking metal, chilling it with liquid nitrogen and smacking it with a hammer. Many metals become so brittle at cryo temps that it’s useless. While we’ve got this pulled up I should probably explain it quick, this is comparing the density to yield strength ratio. Density best represents weight since it includes volume, and the strength we’re showing here is yield strength. Since there isn’t a unit of measurement that corresponds between volume and yield strength, there isn’t a nice clean number or unit to represent this ratio as it’s arbitrary, but it is relevant for a comparison basis. The results are pretty interesting, look how close stainless steel is to carbon composites at cryogenic temperatures. It makes you start to wonder why Stainless Steel has been so underutilized this whole time. I mean, after all, Stainless Steel on rockets isn’t new, the original Atlas rocket, or the Convair SM-65 Atlas, starting using stainless steel way back in the 50’s! 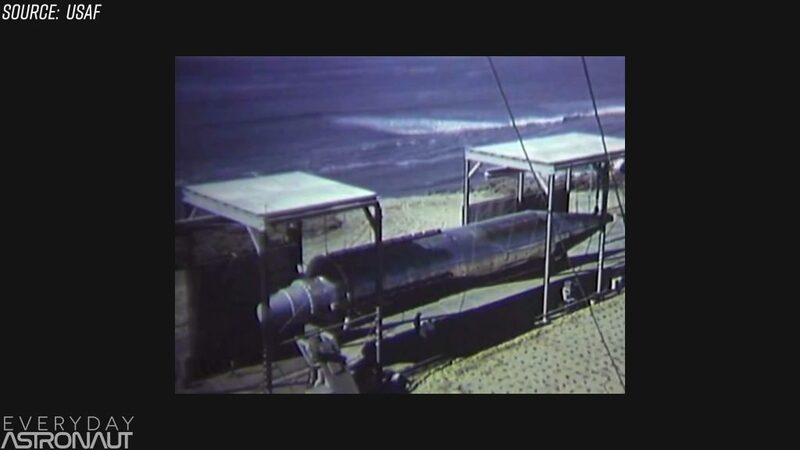 On December 17th, 1957, the first successful launch of the SM-65 Atlas missile took off. This rocket featured many high tech firsts including an interesting stage and a half design and a stainless steel balloon tank. Uh why balloon tank? Well, the walls of the stainless steel were so thin, it required the vehicle to remain under pressure at all times while vertical in order to maintain its structure. As a matter of fact, if it lost pressure, it folded. We’ll be talking about this in an upcoming biggest facepalms of spaceflight history. A fun note here… WD-40, you know, that stuff almost everyone has in their garage that seems to be a cure all for just about everything. Yeah, that stuff was actually invented for Convair to protect the outer skin of the Atlas rocket from corrosion and stiffening! Crazy right? 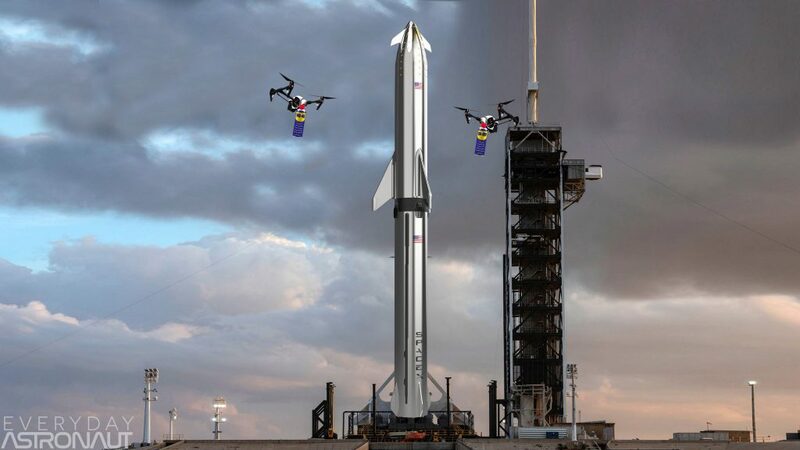 I wonder if SpaceX will need to shower the Starship and Super Heavy in WD-40 before each launch! BUT, you know what’s interesting? Stainless Steel is still used TODAY by ULA on their centaur upper stage. So it’s not like stainless steel is some novel concept that Elon thought up over night, and it definitely has some advantages over aluminum. 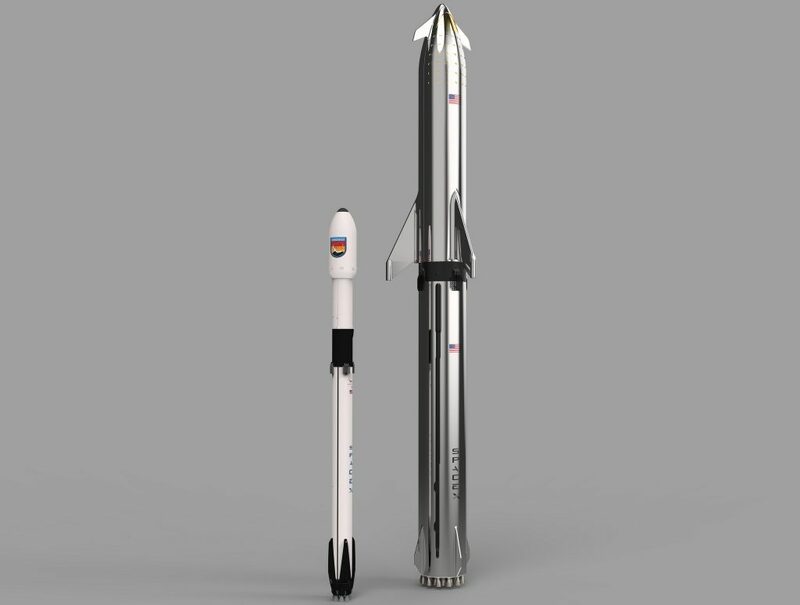 So, that got me thinking, why isn’t the Falcon 9 or other rockets made out of stainless steel? Perhaps a reason is actually due to a breakthrough in manufacturing technique known as cold forming. Cold forming is when you chill the material down to cryogenic temperatures as you form and shape them for manufacturing. 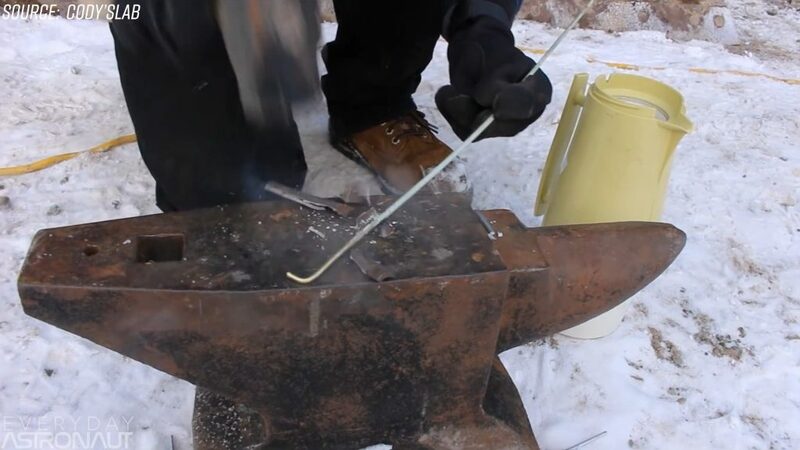 This practice has been used for a while with other metals like copper, aluminum and brass, but cold forming large chunks of stainless steel has been elusive. 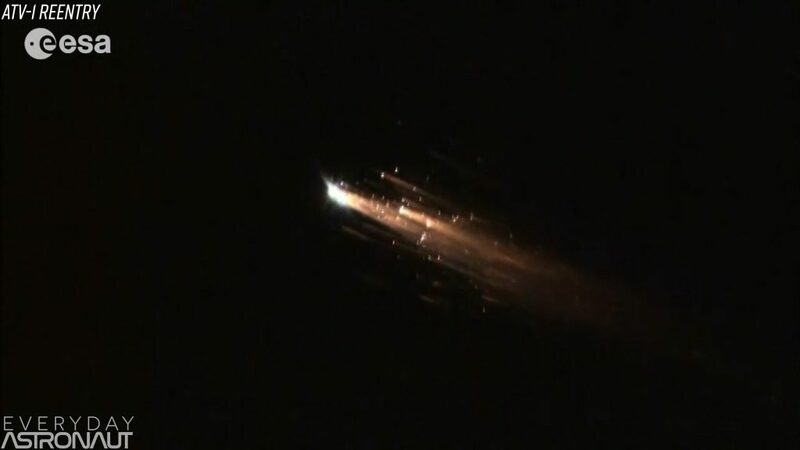 Ok, cool, so stainless steel seems like a pretty good thing when the rocket’s cold and fueled up, but how about when the rocket gets really hot as it comes back through reentry? Well here’s where things get really interesting. When vehicles come back in at orbital speeds, they get absolutely punished. A vehicle travelling 10 times faster than a bullet has a lot of kinetic energy. In order to slow down in the atmosphere, that kinetic energy is exchanged for heat. 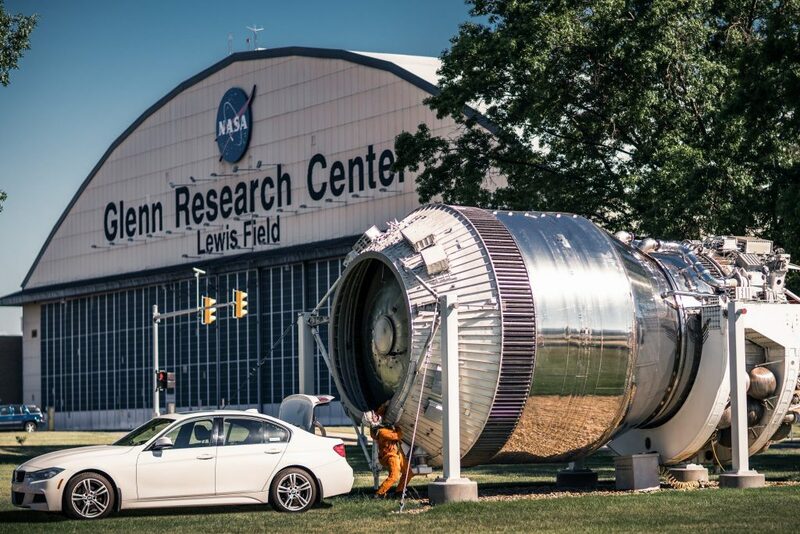 This is why vehicles that come back from space have heat shields. Whether it be an ablative heat shield that purposefully flakes away material and which takes heat with it. Or there’s heat shields that are able to soak up the heat like the tiles on the space shuttle which didn’t let too much heat reach the aluminum airframe by basically soaking it all up like a really hot sponge and radiating it away very slowly. 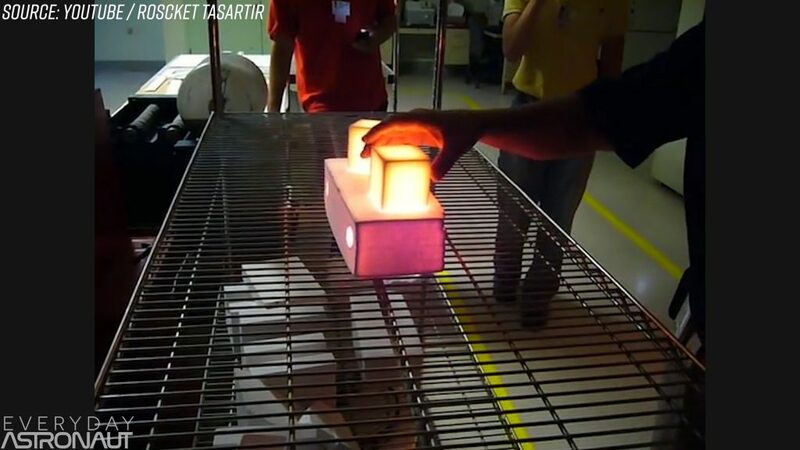 So what happens when you use a material that can withstand a crazy amount of heat? Well, you don’t need nearly as beefy of a heat shield, or no heat shield at all on some parts of the ship. A good example of this, take a look at this is. 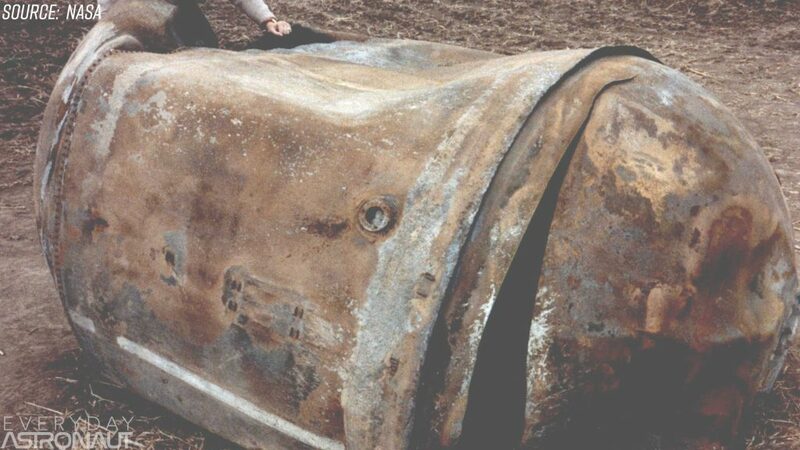 This is a stainless steel tank off a Delta rocket that survived orbital reentry surprisingly intact! 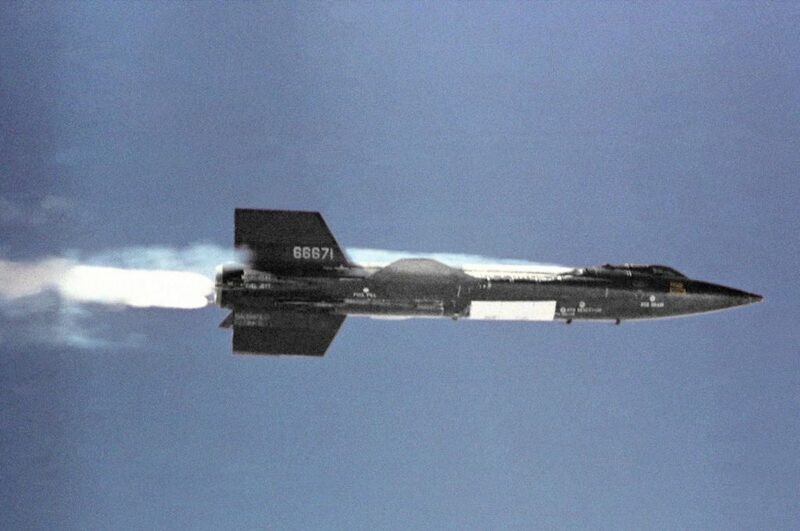 Or the X-15 hypersonic rocket plane which was actually made partly of inconel which has an extremely high melting point. This is called a hot structure and there were even considerations to build the shuttle out of Titanium which would’ve meant it wouldn’t have needed nearly as much heat shielding. Aluminum and carbon composite can’t withstand much more than about 200 degrees celsius before they start to deform, but stainless steel can handle 800 degrees celsius and keep on tickin! 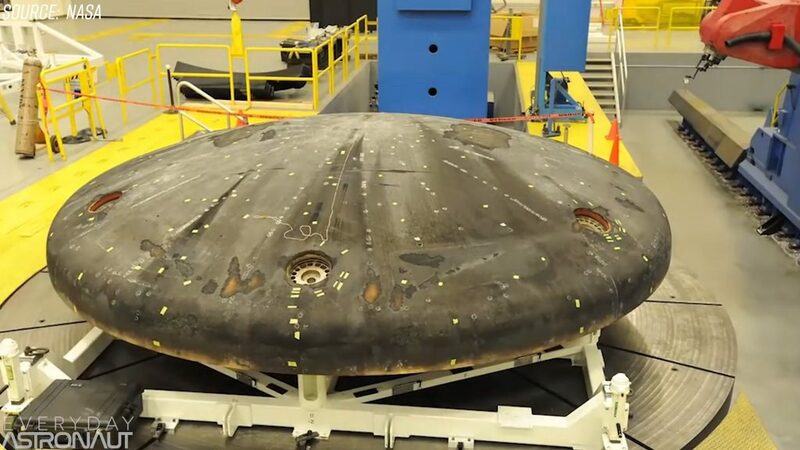 Starship will have a few forms of heat shield protection. First off, since stainless steel is shiny, it actually will reflect a good bit of the radiant heat instead of absorbing it! Crazy. But radiating heat away isn’t enough, nope, here’s where things get even MORE interesting. 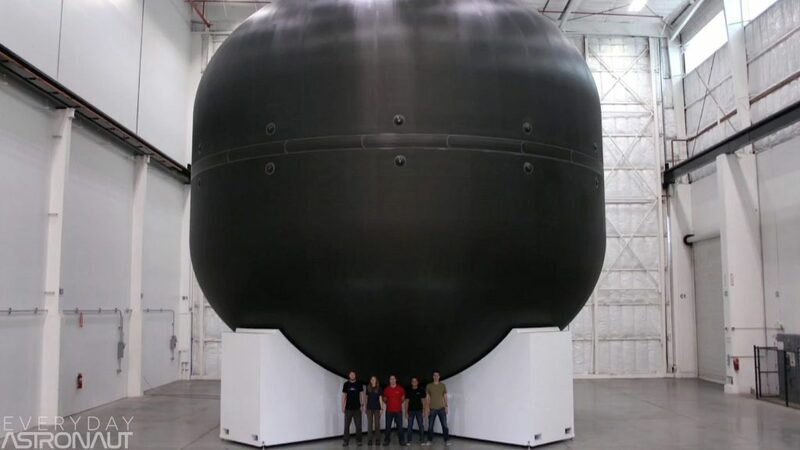 SpaceX is looking to utilize the first regenerative heat shield for a spacecraft. 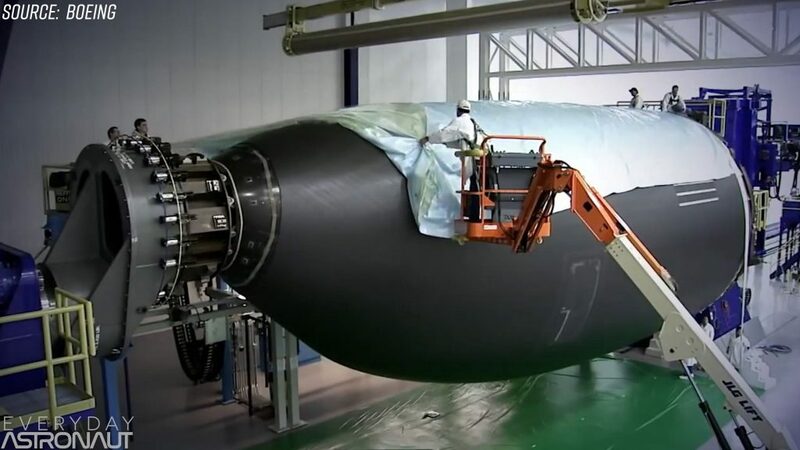 Basically, on the belly of Starship will be another layer of Stainless Steel, but this time they’ll use 310S Stainless Steel which can handle a higher peak temperature. Then between those layers of stainless steel will be stringers which will house some methane when being actively cooled. 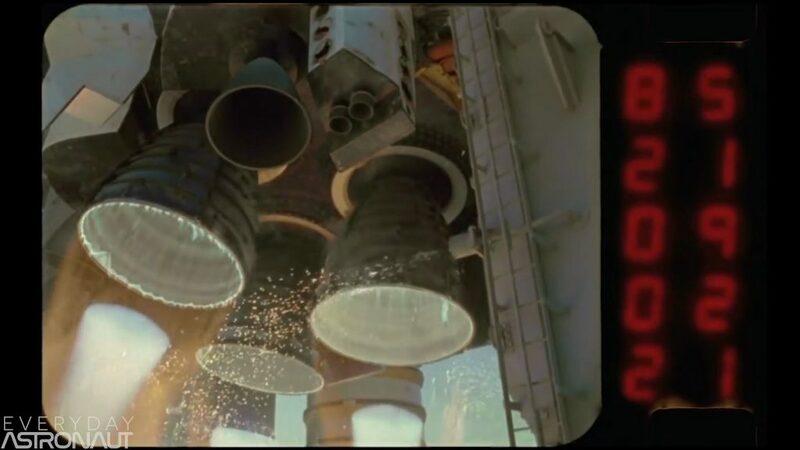 Now I know this sounds crazy and scary, but don’t forget, the combustion chamber of rocket engines have been doing stuff like this for decades! A combustion chamber is basically just hundreds of cooling channels squeezed together! Or another example, take a look at the space shuttle main engines. Here we had stainless steel tubes brazed together and then liquid hydrogen flowing through them to keep the nozzle cool. Don’t forget, the exhaust coming out of the engines is a crazy 3,300 degrees celsius! So 1,500 degrees from reentry sounds like a walk in the park! Ok, liquid cooling stainless steel isn’t particularly new, but what is is the next step. The sweaty sweaty rocket. Believe it or not, Starship will actually bleed fuel out tiny micro pores as it reenters. These pores will be so small you probably won’t even see them. The cool liquid methane will take a lot of heat with it as it bleeds out, evaporates into a gas and toots it away into the wake of the vehicle. And again, I know this idea sounds crazy and like it’ll never work… but this idea also isn’t new. Did you know some airplanes have tiny holes on the leading edge of the wings too? Some planes use a system to push out an anti-freeze type coolant out the tiny pores which keeps ice from building up on the wings. And another fun example, although not ever proven, was the absolutely wacky Roton half helicopter half rocket concept. 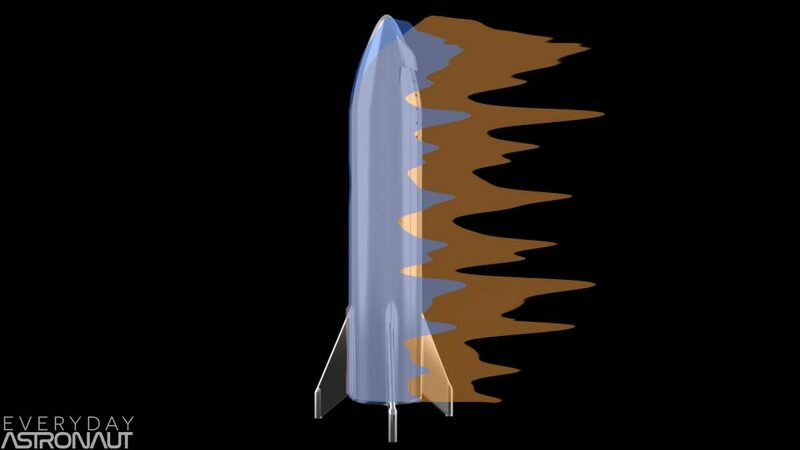 It was planning to utilize a similar liquid heat shield concept. Ok so sweaty metal isn’t unheard of either… But maybe the coolest thing about the heat shield is that because it’s double layered, it’s stiff enough to provide the structural support of Starship so it can remain upright even unpressurized, unlike the original Atlas. So you can almost think of it like the backbone, only, it’s on the front… so more like a chest plate of sweaty heat shield awesomeness. Now the last two things we need to talk about are what probably really made SpaceX spin on their heels and totally ditch carbon composites… and that’s time and money. With carbon composite, you need to cut the fabric, impregnate it with high-strength resin, which can be difficult and then make 60 to 120 layers! There’s also approximately a 35% scrap rate of material too, which makes it so carbon composites are terribly expensive. As a matter of fact, the advanced carbon composites cost about $180 per KG by the time you factor in the scrap material. So how’s that compare to stainless steel? $3. $3 per KG…. But best of all, since the material is so easy to work with and well known, they’re actually getting started on it NOW. Like right now! This will certainly help achieve some of those lofty goals and timelines. Now you might be thinking, “If the entire system is reusable the cost of the rocket doesn’t really matter as much, does it?” Well, of course that’s true to some degree, but forget the physical benefits of stainless steel, if something is 60 times cheaper, it can really quickly affect your bottom dollar. And SpaceX is, after all, a private company looking to make a profit at the end of the day. Sure, they could spend 10 years developing the most advanced carbon composite fuselage ever that costs insane amounts to produce, but let’s look at where that’d get them in 20 years. Now they lost a lot of time of potentially profiting off the development of a fully reusable vehicle, and THEN they’ll have a rocket that’s even more expensive to build! We’re once again seeing SpaceX not fall into the trap of the sunk cost fallacy. I talked about this quite a bit in a video titled “Why does SpaceX keep changing the BFR” after we saw its third big change in design at the Dear Moon announcement in 2018. But the fact is, this all checks out. It might be easy to think this is a disappointment, a letdown or a compromise, but quite frankly it IS a compromise. Engineering is always a compromise. And that’s not a bad thing. There’s trade offs to absolutely every single decision whether it be time and money, or whether it be a flight profile where it might make sense to throttle down at a certain point, to trade offs in strength and weight of certain materials. There are ALWAYS trade offs! So in summary. 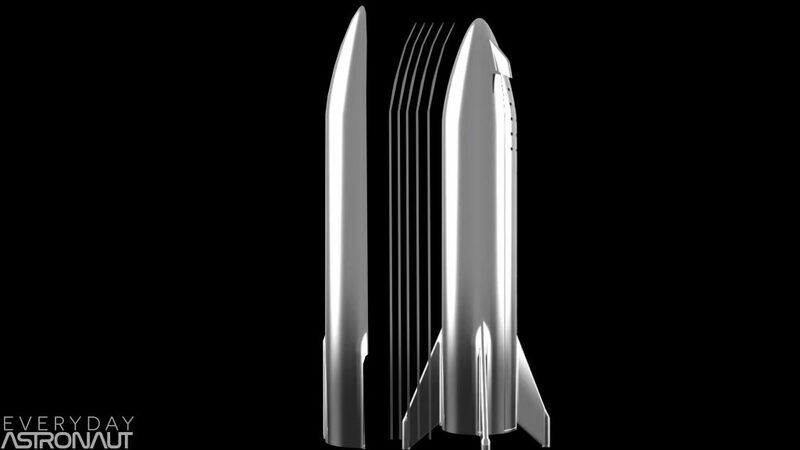 SpaceX chose stainless steel over carbon composites because it’s about as light, it can handle higher temperatures which means less heat shield is need, which then makes it lighter, it reflects heat which means even less heat shield which again makes it even lighter, it’ll be cheaper and quicker to build AND it’ll look FREAKING AWESOME. And in my opinion when Elon gives us the new updated specs on the vehicle, if the payload capacity were to be halved from 100 tonnes to Low Earth Orbit down to 50 tonnes, I still think that’s a perfectly ridiculous amount of payload capability. I don’t think there’s a huge market for 100 tonnes to LEO, and if your entire launch vehicle is reusable, that’s really the true key. Even if Starship could only launch the same payloads as Falcon 9 but was entirely reusable with just air liner like maintenance, that would be absolute game changing. Although… considering this rocket is destined for Mars… maybe having a crazy payload capability isn’t a bad thing for a 2 year trip… We’ll just have to wait and see what the latest spec sheets look like. So what do you think? Are you excited about a shiny Starship or do you feel like this is just a big bad old compromise? Let me know your thoughts in the comments below. As always, thank to my Patreon supporters for helping me continue to make content like this. If you want to help support what I do, hop over to http://patreon.com/everydayastronaut or stop on over to my brand new webstore where you can get lots of fun stuff like grid fin not a coasters, awesome new shirts, stickers, mugs, patches, and even the music in all my videos. Thanks everybody that’s gonna do it for me, I’m Tim Dodd the Everyday Astronaut, bringing space down to Earth for everyday people. There is a further reason for using stainless steel rather than carbon composite – fracture toughness. 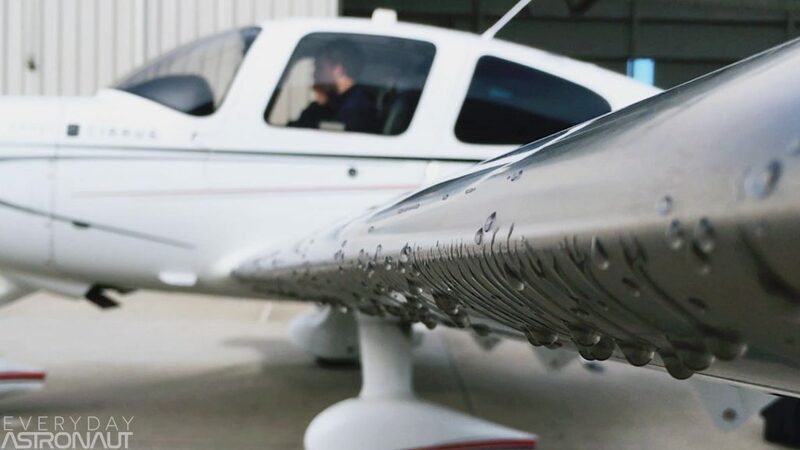 Carbon composites are typically very brittle, and small flaw can initiate cracks which rapidly spread and destroy the structure. This means that extreme care needs to be taken not to mar the surface of carbon composite structures. On January 17 1997 there was a failure in the carbon composite case of one of the solid rocket boosters of a Delta II launch vehicle. This caused the spectacular loss of the vehicle shortly after takeoff. A subsequent lengthy investigation determined that the case of the booster had likely been slightly damaged during ground handling, providing a flaw which initiated a crack which rapidly spread. Hmm, indeed not — right now, anyway. What does a BA 2100 weigh? 70 tonnes, or something like that? More than that. BFR (yes I’m still calling it that) needs to be an SLS killer if they want NASA to use it for Mars missions. They will not cancel SLS for a 50 ton to LEO rocket. It will need at least 100 tons to kill SLS, the monster rocket eating up billions of wasted tax dollars. Intriguing to see the new numbers to LEO, can’t wait for more information. I hope it’s not a huge penalty. Thanks for sticking with just SI units. eg just celsius and not both. Ok, here is a historical note from a retired engineer who actually worked on the Atlas and Centaur. 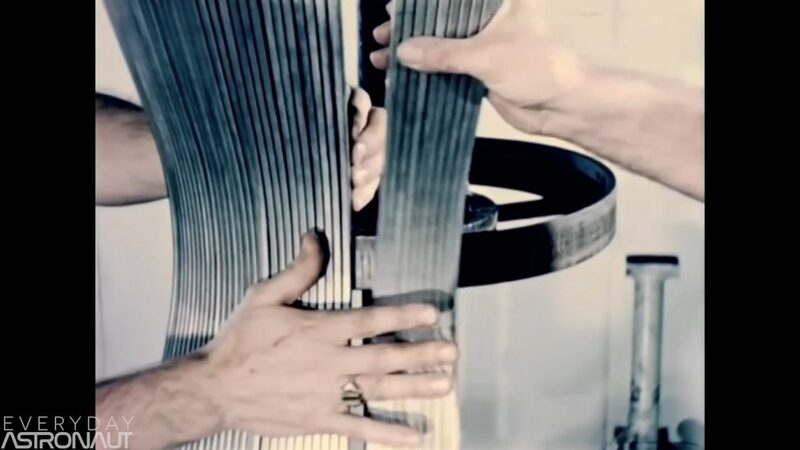 The reason Saturn and Delta went with aluminum skins, bulkhead rings and stringers in their tanks was also, quite bluntly, because NASA engineers at MSFC just plain “didn’t like” the way that Atlas needed to have the ullage pressure maintained to keep its shape. You can claim all the benefits of a thin walled stainless balloon that you want; and certainly Atlas and Centaur have proven themselves reliable. But at least back in the old days (ha ha), to the MSFC engineers, that pressurization need to keep a balloon upright was a super big deal. Have you run this by NASA to get their buy in? You may burn some customers if you don’t. Elon has stated that it is self supporting (on the ground) without pressurization. Cold forming usually refers to forming metal at room temperature. Cryoforming is forming metal at temperatures well below room temperature quite often at liquid CO2 or nitrogen temperatures. Ablative heat shields use vaporization-transpiration, charing and insulation to protect the vehicle. Older engines sometimes used brazed tubing to form the combustion chamber backed by bands to contain the pressure. Newer designs tend to use slots milled into a high conductive, high temperature Cu alloy which forms the internal walls backed by a brazed or electroplated outer shell to contain the pressure. The SSME used an electroplated shell. Russian engines used brazed outer shells. I believe both SpaceX and Blue Origin main engines also braze the shell. Does anyone know for sure? What about corrosion? 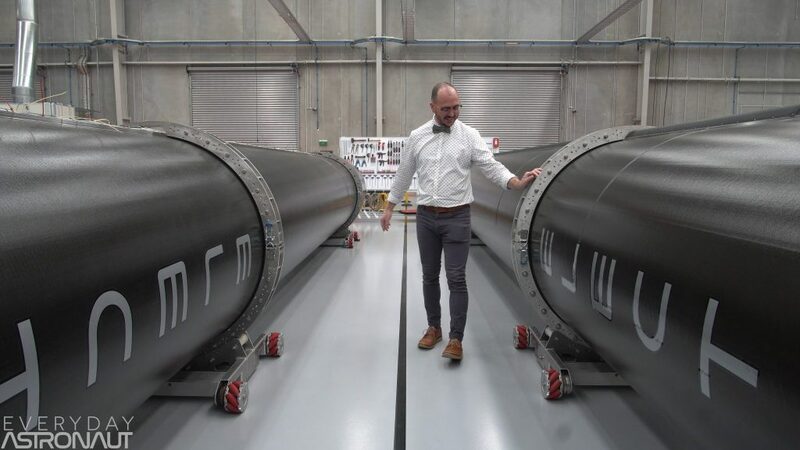 Surely your nice shiny stainless steel rocket is going to massively oxidise at re-entry temperature and look just like the Delta 2 second stage main propellant tank you have shown us a picture of with one re-entry. Where will that leave reuasability? Any WD-40 you lather the starship in before take-off will disappear during take-off atmospheric heating. Now there’s also a big question : How they will launch the full stack ? We know they want to launch it the Superheavy/Starship (Orbital) as soon as 2020, and there’s not any glimpse of infrastructure construction anywhere regarding the vehicle’s launchpad (LC 39A took 2 years to be built if I remember…). We don’t know if it will be launched from ground/or sea platform ? “I don’t think there is a market for 100 tonnes leo”. I don’t understand. Really. Are you serious? 1: If you can carry much it means- you make everything cheaper. 2: Carry extra fuel and you could do several missions with several large satellites. 3: Refueling station – Companies might choose to buy fuel in space than rather pay for other rockets bringing it up —-> super expensive. If your launch vehicle just needs the fuel to get to the fueling station. Reasoning: If your stage is carrying fuel. you need fuel to bring it up–when you load fuel you need more fuel to carry that fuel—> until the curve straightens out. Having that buffer is a major player in lowering cost. If your space craft is flying anyhow, you would want to bring a full payload every time to maximize the effort going to orbit- atleast if it is an expendable one which has a mission to leo. (and only this if there is a/many fueling stations in orbit) if there is not. There would no need to utilize the cargo capacity in fuel because it will cost more. If you get it to orbit you could get to pay for some of the launch if other companies decides to buy your fuel in orbit. The rest of the fuel you decided to carry – because you were going there “anyway”. If your going 4 h to the well for water and you have a cart and a horse, why not load the whole cart, and sell the water to the other people that has to walk. The tanker|s we have today probably seemed absurd to people 50 years ago. This is the case for freight trains and any heavy transport. SLS can go to bed with its one time missions. One time missions are for exploration at start — its about making spacecrafts as light as possible – its for travel to brave new worlds to see whats under the rock. Not build a house there and thrive, thats why Elon will have the upper edge(eventually bezos also) if all will end good. Spaceship class is the – working horse – if raptor engines prove reliable. research — many companies pay alot i can imagie to get their project researched at the sapce station. A lot of things are researched in microgravity, becasuse gravity makes some experiments impossible on the earths surface. I quess this is one of the major markets there is. The applications for these labs are invaluable. 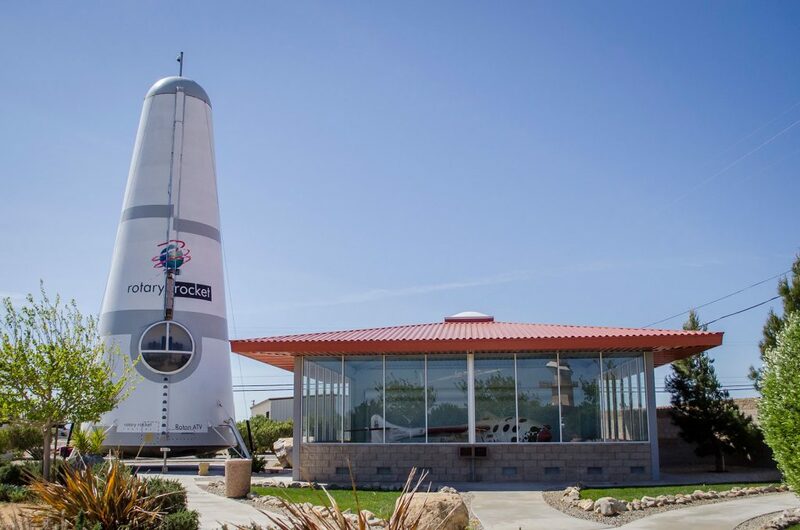 I bet the regular “space tourism” would be the lower cut on any application. The only exception would be the amount of people that would go to space, which is kind of a big cap on for it. Why can’t Starship just slow itself down so that the re-entry temperature is low enough that stainless steel alone (without a sweaty heat shield) will be able to survive? The Space Shuttle used reverse thrust to slow itself down for re-entry, and only needed to survive re-entry temperatures of 2100 F, which is just a bit above the temperature which will cause stainless steel to corrode. I understand that Starship will be approaching earth at much higher velocities when it comes from the moon or Mars, compared to the Space Shuttle coming in from LEO. However, Starship is designed from day 1 to be refueled in space. So, why not refuel an incoming Starship, so it can then use its engines to slow itself down to Space Shuttle re-entry velocity, prior to de-orbiting (and maybe even during re-entry)? If the cost of sending fuel to space (through Starship tankers) is not prohibitive, it would be a lot cheaper than having to spend for the perforated steel skin and all the costs associated with making the Starship sweat. More importantly, slowing a Starship before re-entry should reduce risk dramatically, because if the sweaty heat shield fails, there is a way to get the ship home safely, anyway. NASA has pointed out that the difficulty of making a reliable “regenerative heat shield” is 100 times more difficult than any project of NASA, ever. But, if the re-entry velocities are reduced, the risks would go away (and remove any NASA excuse for not using BFR instead of SLS). Better yet, why not simplify the problem by having 2 kinds of ships? “Starship” will be a ship that NEVER re-enters the earth — it only goes from LEO to the moon, Mars, or other destinations without thick atmospheres. “Star Ferry” will be a ship designed to take fuel, cargo and/or people from and to the earth’s surface and LEO. In LEO, it transfers the contents to/from a Starship, then returns to earth from LEO. 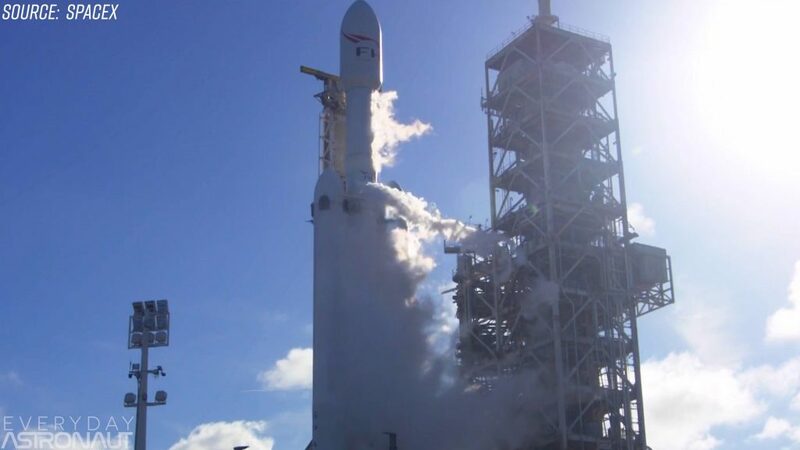 If the problem is broken down that way, there will be no need for a high-performance heat shield, since the maximum re-entry velocity can be kept to a relatively low temperature — possibly enough for 310(S) stainless steel to survive with little or no additional cooling. A “space port” would be an optional third element which would make it easy for Star Ferry and Starship to dock and exchange contents. Amazing blog! Please subscribe to my blog: elonsworld.space there I write about sustainable energy/transport and space exploration.